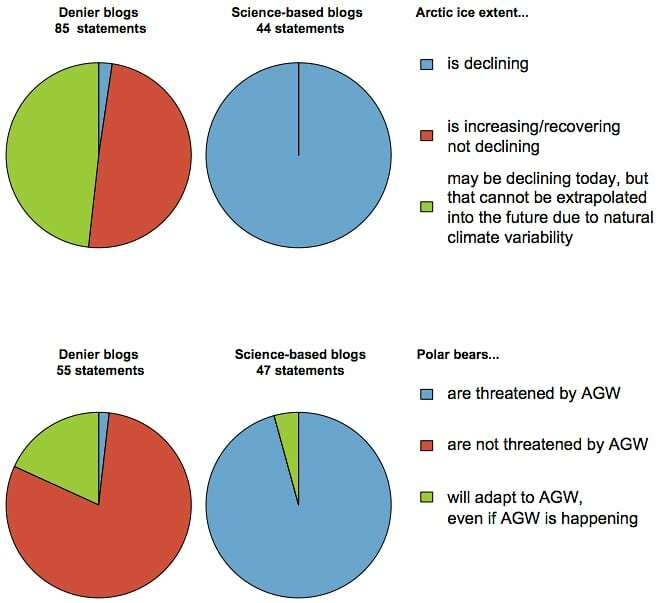 The “space” of 2 intersecting issues: declining Arctic sea ice and the future of polar bears in climate change denying blogs and scientific papers (from Harvey et al in Bioscience (Nov 29 2017)). 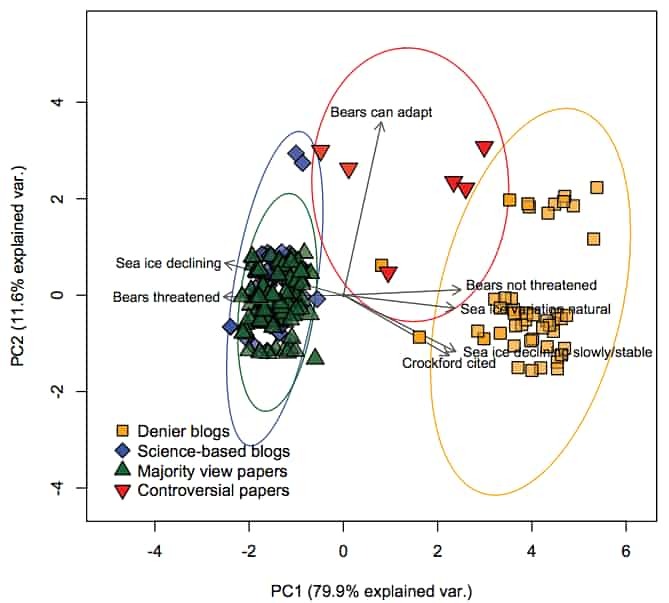 Analysis of statements about the future of polar bears and declining Arctic sea ice reveals a polar contrast between climate change deniers’ blogs and evidence-based scientific reports. This produces the hints of a manifold or topological space where the debate is both polarized around a left-right axis and features another line of flight (“will adapt”) that nonetheless remains within the 2 limiting dimensions of the graph of affirmation vs. denial.